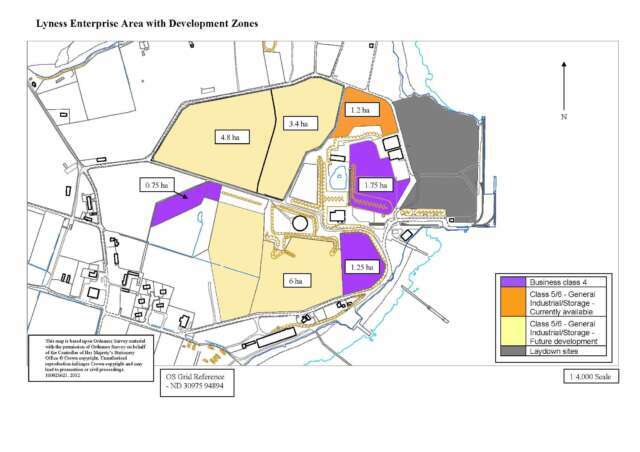 Lyness has the ideal location within the sheltered waters of Scapa Flow and its proximity to the Pentland Firth - premier location for the marine renewables industry for assembly and maintenance of renewable technologies. Lyness is also the major base for service and deployment of wave devices at Billia Croo. Lyness has a newly upgraded quayside and associated laydown space, while Scapa flow has an extensive natural harbour at an area of 125 sq miles. There are existing licenses in place for ship to ship transfer making it an attractive site for O&G activity as well as marine renewables. 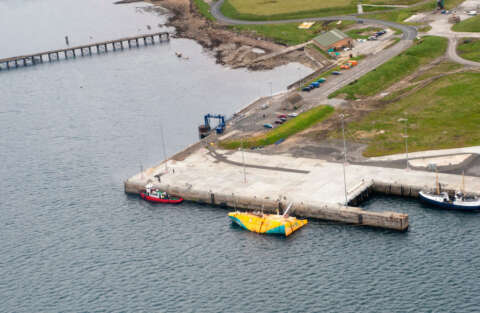 Redevelopment programme completed in 2011 to support marine renewable activities. Quays were re-established with new capping and deck areas. Newly upgraded 260m quayside and associated laydown area as well as construction of large scale industrial workshop close to the quay. Plans to establish marine gas oil storage facilities and 300,000 sq m of new laydown space to supplement newdeep water berths.